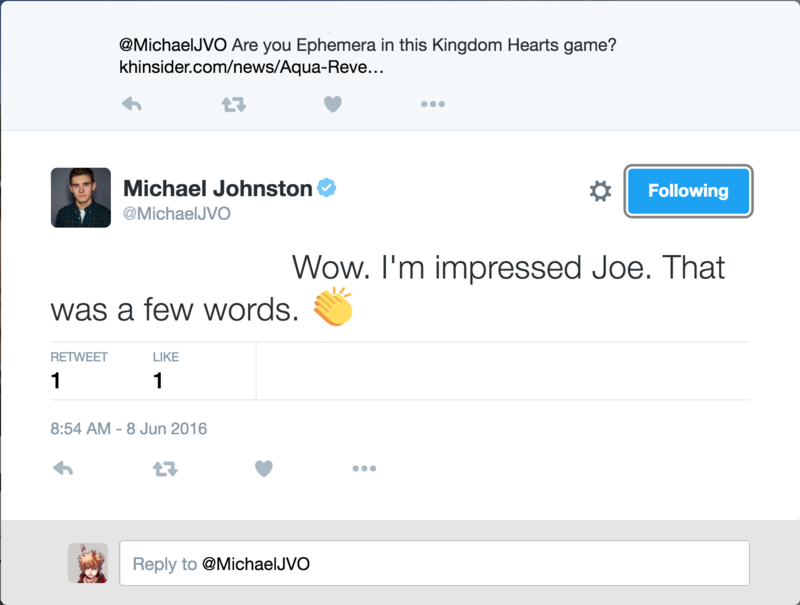 Discussion in 'Kingdom Hearts News & Updates' started by ~Master Xehanort~, Jun 8, 2016. We may also have confirmation now that Matthew Mercer (Fire Emblem Awakening, Attack On Titan, Overwatch) is voicing Ira, the Foreteller of Unicornis! He liked a tweet here that a fan sent him asking if the voice was him.